The Canadian government will loan Bombardier Inc. $372.5 million over the next four years to help fund research and development of its new Global 7000 business jet and its CSeries line of aircraft. The funding will be provided over four years and adds to C$350 million in repayable launch aid for the C Series the federal government agreed to provide in 2005. At that time, Quebec committed C$117 million in support and the UK government $154 million. Reports suggest two-thirds of the repayable contribution will go to the Global 7000 and one-third to the C Series. Federal support for the Global 7000, now in flight test, will be made through the Strategic Aerospace and Defense Initiative, which supports research and development in the sector. 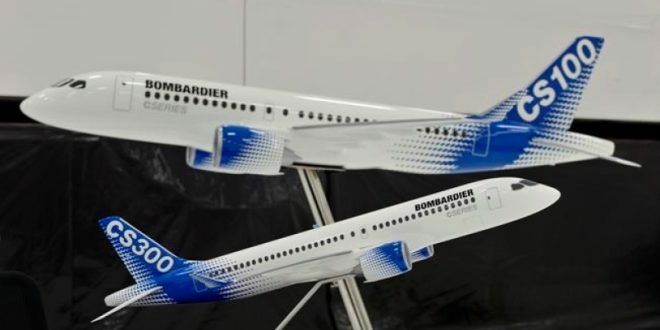 Investment in the C Series program will be made through the government’s existing contribution agreements with Bombardier, the parties say in a statement. This differs from Quebec’s $1 billion investment, in return for which it received a 49.5% share in a new C Series limited partnership. Prompted by Embraer, Brazil has signaled it will launch a dispute procedure at the World Trade Organization alleging Quebec’s provincial government’s investment in Bombardier, which totals $1.5 billion including a stake in its rail business, is an illegal subsidy. Canada’s trade minister has subsequently indicated Ottawa’s willingness to settle any dispute outside the WTO. Brazil and Canada settled previous subsidy battles over regional-jet development aid and export financing after lengthy and fractious WTO dispute-resolution procedures. With Bombardier’s improving finances, Bains says the decision for the federal government became one of ensuring the company’s success going forward by investing in research and development to secure high-quality jobs in Canada. Bellemare says Bombardier’s five-year, 2015-20 turnaround plan did not assume any support from the Canadian government. “Our financial position has strengthened significantly, but we needed additional flexibility—for things you don’t know when you are pushing technology,” he said.